A Massachusetts teenager accused of manslaughter in connection with a single-vehicle crash that left four of his passengers dead in East Bridgewater in May faced a judge on Monday. 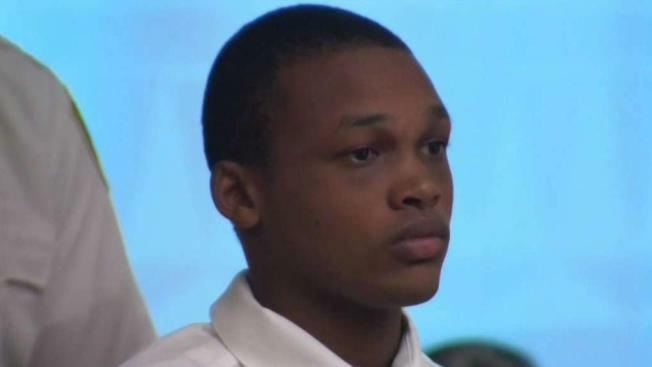 Naiquan Hamilton, 18, of Stoughton, pleaded not guilty at his arraignment in Brockton District Court. Hamilton was charged as a youthful offender on four counts each of manslaughter by motor vehicle, motor vehicle homicide by operating under the influence and motor vehicle homicide by reckless operation. Prosecutors allege Hamilton was driving at speeds between 80-100 miles per hour and under the influence of marijuana on May 19, when he violently crashed and rolled his car in the area of West Street/Route 106 in East Bridgewater. When first responders arrived, three passengers were pronounced dead at the scene. The passengers were identified as 17-year-old Christopher Desir of Brockton, 17-year-old Eryck Sablah of Stoughton and 16-year-old Nicholas Joyce of Stoughton. An additional passenger was taken to Brockton Hospital where he was pronounced dead. He was later identified as 17-year-old David Bell of Stoughton. 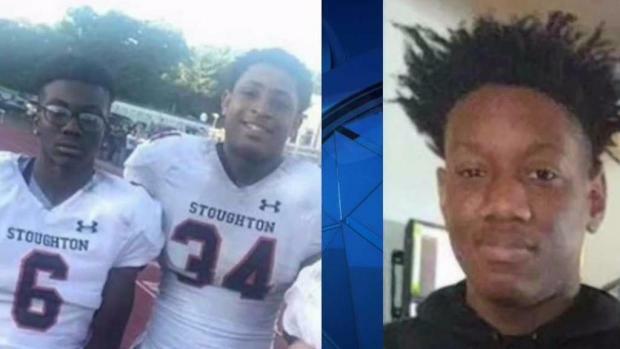 As families of Christopher Desir, Eric Sarblah, David Bell and Chris Joyce are grieving and struggling to come to terms with the teens' sudden death, Stoughton High School community is grieving with them. Hamilton, who was 17 years old at the time of the crash, was taken to Good Samaritan Hospital in Brockton before he was transported to Boston Medical Center for treatment of his injuries. "Unfortunately, out of the five individuals who were in the car, he was the only one to survive the crash that day," said Assistant District Attorney Russell Eonas. As the victims' relatives sat in court holding back tears, Hamilton remained quiet and somber as the details of the crash were read aloud. "He said he was on the wrong side of the road, airborne above his car as he passed him, while he was going 40 miles per hour, just prior to the collision," Eonas said. After court, Plymouth County District Attorney Timothy Cruz discussed the difficulty in prosecuting a case like this one. "Everybody in that room has loss — the young man driving the car with his friends, his four friends are gone forever, sons and kids in the community, the community's been affected forever," said Cruz. "It's an absolute tragedy, that's the only word for it." Hamilton was released on his own recognizance, but he cannot drive or use alcohol or drugs. He's due back in court Oct. 29.